Washington’s Olympic Peninsula is one of the few places in the state where one can go whale watching and wine tasting in the same day. Killer whales, humpback, minke, and gray whales all swim in the waters of Puget Sound, the Strait of Juan de Fuca, and the Strait of Georgia. Puget Sound Express, based in Port Townsend, takes passengers out to see them all. For the past few months, gray whales have been most visible. For the next few months, orcas should be most prevalent. A glass of Washington State Wine is just what is needed after an exhilarating day searching the waters for whales. Sorensen Cellars and FairWinds Winery are both located in Port Townsend, and both offer wine tasting. 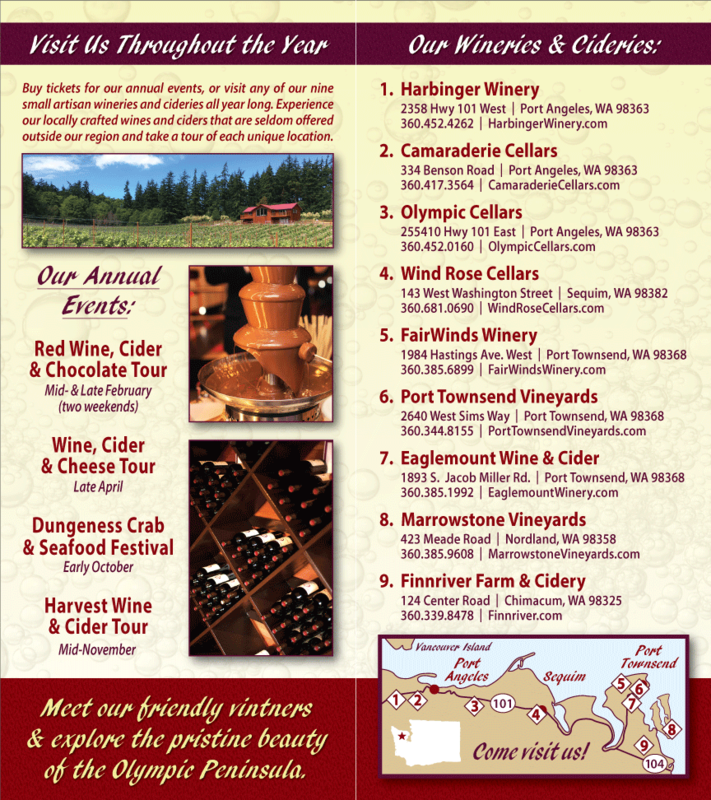 Wine and cider tasting is also available at Finnriver Farm and Cidery, located outside of town in lush Chimacum valley, and Eaglemount Wine and Cider, in the hills on the southeast banks of Discovery Bay. The Pacific Northwest is home to some of the most majestic creatures on earth – whales. It is also home to some mighty fine wine – Washington State Wine. The Olympic Peninsula is the place to experience both. Additional information about whale watching tours is available at Puget Sound Express.